There are few people inside the entertainment industry who do not hold Lew Grade in high professional regard, and there are many who view him with real and warm affection. They may not like everything he does, but the manner in which he accomplishes it leaves even his most partisan critics in a certain state of awe. His simple aim in all his dealings is to offend nobody and to sell to everyone. This is nothing sinister to be found in that, unless you take elitism to its most repugnant extreme and totally oppose the ethics of trade. ‘I have hundreds of rivals but no real enemies,’ he is often pleased to say, and he probably tells no more than the truth. Article from ‘The Television Barons’ by Jack Tinker, published by Quartet in 1980. It was, however, Hugh Jenkins, MP, when he was Labour’s Minister for the Arts, who gave the most succinct expression to misgivings about the system which enables men like Lew Grade to consolidate such an empire. From left to right, Ukrainian-born British impresario brothers Lew Grade (1906 – 1998), Bernard Delfont (1909 – 1994) and Leslie Grade (1916 – 1979) attend the wedding of Leslie’s son Michael to Miss Penelope Levinson at the St John’s Wood Road Synagogue, London, 19th March 1967. All this, as we shall see, is the case. He does love his work. He is nice. He does produce popular programmes. He does give the public what they seem to want. He is not interested in amassing wealth for wealth’s sake. He is the benefactor of countless untold good causes. The epitaph he once asked for was: ‘I always kept my word’ (subsequently altered to: ‘I didn’t want to go’!) But go, one way or another, he must. He himself has fixed his retirement at the year 2000. Be that as it may, as Hugh Jenkins points out, even the most moral men are mortal. However or whenever he goes, he will leave behind that ‘dangerous concentration of power’, and given the vagaries which put it into those sensitive, delicate hands in the first place, who can tell what manner of man will succeed him? When Lew Grade finally emerged from the fascinating early musical chairs at Association TeleVision, his company’s assets stood at £9,400,000. Within the first ten years of his single-minded stewardship, this tiny, rotund and genial man had husbanded his empire so shrewdly, and with such canny flair, that its assets topped the £35 million mark and its interests spread around the globe. By the time the centre of his all-consuming interest had shifted from television to the making of movie spectaculars and he took the title of president, it is fair to say that he had stamped his personal mark on all branches of the entertainment industry from his vast office in ATV House, Great Cumberland Place, adjacent to London’s Marble Arch; he had become a showman mogul cast in a heroic mould, as Lord Annan was to agree. Ukranian born British Impresario brothers, Bernard Delfont (1909-1994) on left and Lew Grade (1906-1998) on right, pictured together in London on 1st September 1977. Russian born television producer, Bernard Delfont at the Jack Hylton Memorial Show in the Drury Lane Theatre, London with his brother, the theatrical impresario Lew Grade (1906 – 1998). British showbusiness impresario Sir Lew Grade (1906 – 1998, right) chatting to former Prime Minister Harold Wilson (1916 – 1995) at the Pye Colour Television Awards at the Dorchester Hotel, London, 23rd May 1977. Wilson has just presented Grade with an award for Outstanding Services to television. British showbusiness impresario Sir Lew Grade (1906 – 1998) hands a cup of tea to actress and singer Julie Andrews at ATV House, London, 6th June 1973. Andrews is holding the Emmy Award she recently won in Hollywood for ‘The Julie Andrews Hour’. By then the chances were that when you turned on your radio, went to the cinema, bought a record or a theatre ticket, relaxed at home in front of the box or merely whistled a tune, this amazing man would own a slice of your consumption. For his £210,000 a year president’s salary, he brought a Sam Goldwyn touch to the television industry. No other man has been so successful in selling what the public wants to buy. There are few who would deny Lew (later Sir Lew and latterly Lord) Grade the status of the real founding genius at ATV. The one man who might have put in a counter-claim was Val Parnell, and Val Parnell is dead. RELATED Hats off to Jenny! ‘Now it was bandied about at the time that you needed £3 million. I said how was I going to get that kind of money? Well, my friend said he had someone who could find £2 million if I could find the rest and a board consisting of people well known enough in entertainment. I said “Okay” and I told my brother Leslie he was in the entertainment industry. Among the most influential of those other friends was Prince Littler, chief of the Moss Empires variety chain. It was an impressive showbusiness consortium by any standards. There are people who remember hearing Val Parnell tell a similar story with the calls reversed. Exactly who picked up the phone and called whom is not, however, the real point. It is a good story and it is a revealing story, for it demonstrates lucidly what a modest outlay was needed for these leading showmen to buy their way into the ground floor of a multi-million pound venture. It is also some indication of how much (or little) they judged that new industry to be worth. Lord Lew Grade meets Fozzie Bear from the ‘Muppet Show’ at the Variety Club of Great Britain Show Business Awards Luncheon at the Savoy Hotel, London. British theatrical impresario Sir Lew Grade (1906 – 1998) speaking on the telephone. For what Grade’s throw-away anecdote disguises is in fact how slow any of them was to pick up the phone. It was certainly not a case of sizing up the potential of the new service, as both Norman Collins and Lord Woolton had done five years before, and rushing in to bag a claim. The bandwagon had been rolling, albeit bumpily, for a long time before Lew Grade jumped aboard. He actually missed the ITA’s advertisement in the newspapers. And even after it had been brought to his attention and the cavalier phone calls had been made, there was no direct route to the handsome blue-carpeted office with its table-tennis sized desk which was to become the seat of all power within ATV. It was a circuitous and quite improbable series of events which finally brought him there. When the ITA advertisement appeared, Lew Grade (as he then still was) was totally immersed in the business affairs of his vast theatrical agency. It is both his strength and his weakness to be almost obsessively absorbed in his own current project. Part of the project he was then concerned with was a tour of the American singer Jo Stafford, and it was two of Miss Stafford’s entourage who played the most prominent roles in launching him into television. Her manager, Mike Nidorf, over in London from the United States to iron out various details of her contract and her performance schedules, spotted the advertisement and enthusiastically outlined its possibilities into Grade’s receptive ear, one of his most abiding qualities being his willingness to listen to new ideas. It is, indeed, among his proudest boasts that his office door in Great Cumberland Place has always remained open to anyone from tea lady or office boy to top executive if they have an idea which they think might be useful to him. Portrait of British radio producer Harry Alan Towers, circa 1955. Lew listened carefully as Nidorf argued how, once it got under way, commercial television would have about as much chance of losing money as a fruit machine in Las Vegas. He was backed in his assessment by a most persuasive lady, Suzanne Warner, who was also prominent in the Jo Stafford menage. Added to her obvious Californian glamour was a spirit of daring enterprise. It was, in fact, Suzanne Warner who ‘had someone who could find £2 million’ to put alongside Lew, Leslie and Val’s £45,000. By one of those happy chances, the stuff that television’s dreams are made of, she was being treated by one of London’s most fashionable medical practitioners, who also happened to number among his patients one Mr H. Grunfield. Mr Grunfield was a senior partner in the merchant banking firm of Warburg & Company; what is more, he had already formed his own shrewd conclusions as a banker that commercial television in Britain could be as big and bountiful as it had been in the United States, if used effectively. It took only an introduction from their mutual doctor to fuse the ambitions of Suzanne Warner to the resources of Mr Grunfield and to deliver them both at the doors of Lew, Val and Prince. Thus was the Incorporated Television Programme Company born, and no one who had any part in it – except, as it proved later, Dr Nathaniel Mayer Green, the accommodating practitioner – had any cause to rue their participation. Their company was to become the most profitable of all the commercial empires, and when it did so, Dr Mayer Green sued both his former patients for a portion of the fortunes they had amassed from their founder shares; shares which he had at the time declined. The cases were settled out of court. Compared to the slippery, rock-strewn trek they had to make to reach the top of the mountain, the doctor’s litigation was merely a pebble to be cast lightly aside. By then they had survived far worse vicissitudes. When the ITA came to award contracts, the Incorporated Television Programme Company was the only one of the five competing contenders whose bid was rejected. 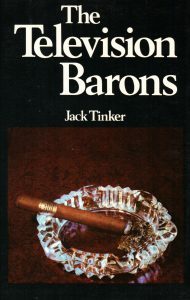 The first three, announced on 27 October 1954, went to Lord Kemsley’s alliance with the television producer Maurice Winnick; to Associated-Rediffusion; and to Sidney Bernstein’s Granada chain, those former pious opponents of allowing anything but a public corporation to invade the sanctity of the home via the cathode ray tube. Before going in with Lew Grade, however, Prince Littler himself had begun by vehemently mistrusting the advent of commercial television. He saw it as a real threat to his theatre empire, and in this proved quite correct. But he rationalized his fears with a businessman’s innate instinct for survival. He realized in time that, if television was going finally to complete the erosion of popular variety which the cinema had begun, he would guard his interests better by exerting his influence from within the enemy camp. He quickly became chairman of the board of the Incorporated Television Programme Company. A similar logic must also have had as much to do with Sidney Bernstein’s volte-face as his undeniable socialist desire to make his mark on the progress of the new mass culture. 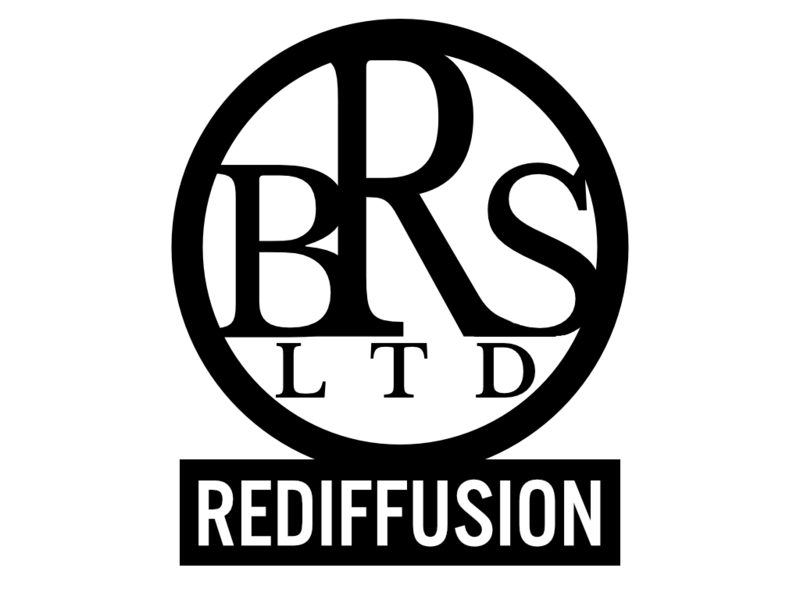 And though Associated-Rediffusion were the only experienced operators in the broadcasting field, they too had gone on record as believing that commercial television would not be in their best interests before waking up to the inevitable and putting in their bid. Lord Robert Renwick, Chairman of Associated Television Corporation, speaking the company’s annual meeting, watched by Deputy Chairman Norman Collins (left) and Chief Executive Sir Lew Grade, in London, September 25th 1969. Actress Dinah Shore being congratulated by Val Parnell on her successful debut at the London Palladium, circa 1955. English theatre impresario Prince Littler (1901 – 1973) after winning a take-over battle against property tycoons Charles Clore and Jack Cotton, 11th April 1960. Clore and Cotton had made a bid for Moss Empires, which owns much of London’s theatreland. Norman Collins, perhaps the only one among the contenders who was not counting the possibilities of the new service in terms of business expansion, was offered the franchise to broadcast London’s weekend programmes and weekday to the Midlands. That he should have been awarded such a rich base for his Associated Broadcasting Development Company was only to be expected, and was only fair. His role had been crucial in bringing the ITA into being. Had he been more of a businessman and less of an idealist, had he seen his new brainchild in the same light as his competitors, he might well have hung on to that franchise. It was, however, significant that he took a week longer than the rest to accept the offer. Benson, Lonsdale & Co., the bankers Lord Bessborough had brought into his deal, were already dragging their feet. Their over-hesitant caution caused them to under-invest and ultimately cost Collins his contract. Winnick’s group was also in dire financial need. His Kemsley backers developed cold feet at the last minute and withdrew. The financial hiatus took Winnick, the clever operator who had introduced the popular panel game What’s My Line? to the BBC, out of the running before the starting-pistol was even fired. Musician Maurice Winnick and his wife boarding a train, bound for the coast and then New York, at Waterloo Station, London, January 19th 1949. The ITA members were deeply reluctant to hand over one of their precious contracts to such a daunting array of vested interests: the complex web of the Grade Agency (of which more later) allied to the might of the Moss Empires variety chain along with the commercial radio interests represented by Harry Alan Towers and the powerful spending potential of Warburg’s merchant bank. It is still a part of Lord Grade’s charm that the best stories against him are invariably the ones he tells himself. ‘As far as I was concerned, Warburg’s might have been a chocolate company when their name was first mentioned to me,’ he confesses. ‘So I called up a friend of mine, Sid Hyams, and asked him if he’s ever heard of them. He said: “Yes, they’re merchant bankers.’” Which was also how Warburg’s became part of the act. The ITA held out for many months against the Littler-Grade-Warburg conglomerate. But a neat side-step, as neat as anything Lew Grade ever accomplished in his early days as a novelty dancer on the variety stage, shook the authority’s determination. Littler, having started as a reluctant recruit to the joys of commercial television, had grown incensed by the ITA’s refusal to recognize his group’s claims. He began to fight an ever more determined campaign, and when Norman Collins finally had to capitulate to the parsimony of his bankers and bow out, Littler was ready to advance his forces. 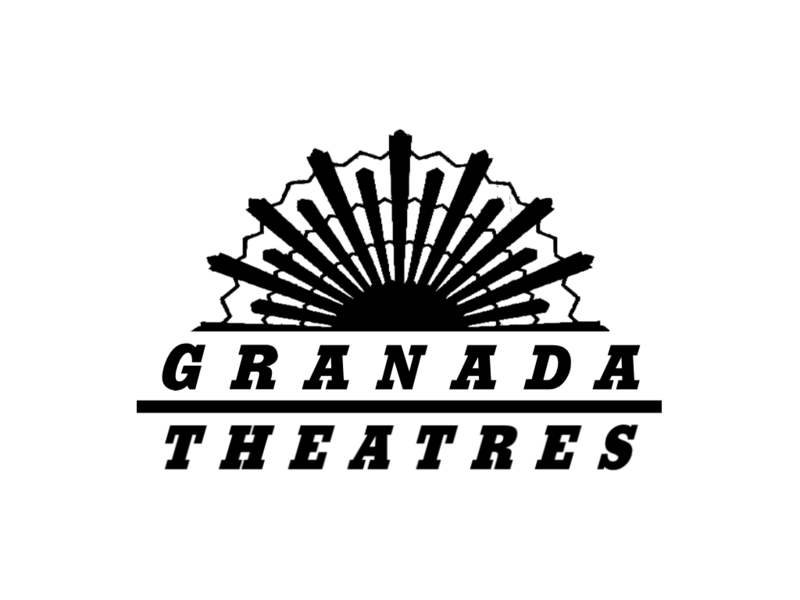 The remnants of Collins’s Associated Broadcasting Development Company merged with Littler’s light entertainment giant, and the weight of Collins’s reputation clinched the matter. 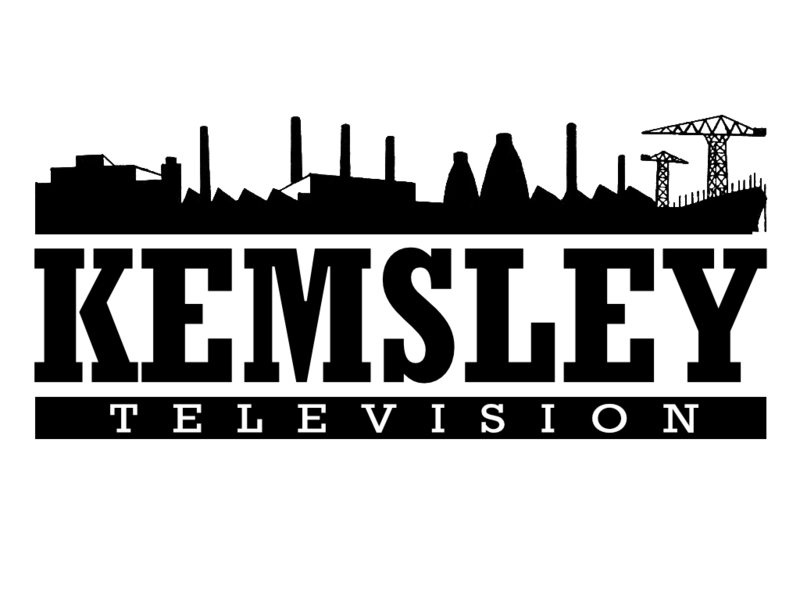 In the spring of 1955, ITA announced that the newly formed Associated Broadcasting Company – almost immediately the title was changed to Associated TeleVision (ATV) – would fill the breach by taking over the contract to broadcast London’s weekend programmes and the weekday schedules in the Midlands. Littler, Parnell, Grade and their holdings were in the race after all, and again it was Collins more than anyone who had made the success possible, though he could hardly be expected to feel altogether happy at this outcome to events. In such company he had effectively lost control of his own brainchild.